With plans to enter the SUV arena and market expansion with the Ghibli, Italian Automaker Maserati has faced more than a few challenges over the last few years. Now, there’s something much more alarming for them to worry about. In short, some of its cars catch fire. 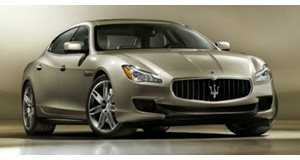 Furthermore, it’s not the base Ghiblis or other entry level products that are causing the problem.Instead, it’s one of the fastest, most expensive models in the brand lineup: the Quattroporte GTS V8 sedan. In other words, pay $141,500 (at least) for the top-of-the-line four door, and you’re technically much more likely to have your car catch on fire than an owner who “only” had to fork up $70,000 for something like a Ghibli. According to a report from the NHTSA, at least 984 Quattroportes from the model year 2014 can go up in flames because a battery cable can apparently overheat the engine, force it to stall, and drain the battery. Newest reports from the Italian auto manufacturer claim that it will be recalling these vehicles starting November 1st. At least this might explain a few cases of flaming Maseratis we recently covered.